Digital temperature, humidity and turning frequency displaying. 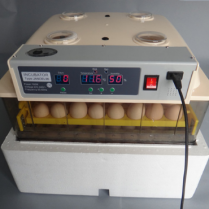 Automatic turning system tilting the eggs 45º once per two hour (Setter Only), Forced air circuit by 1 fans with automatic heating and humidifying system. Operates on 220 /240V, 400W. 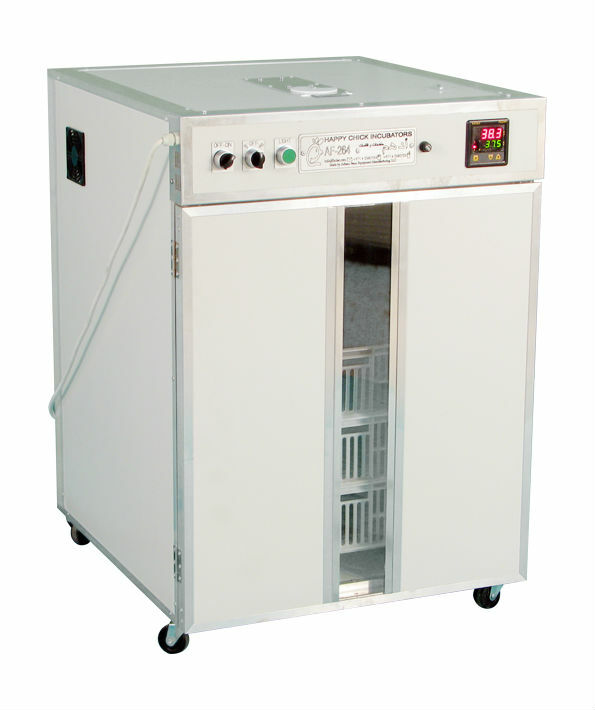 This small incubator for sale has digital temperature, humidity and turning frequency displaying. Automatic turning system tilting the eggs 45º once per two hour (Setter Only), Forced air circuit by 1 fans with automatic heating and humidifying system. 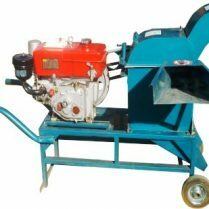 Operates on 220 /240V, 400W. Many vaccine production centres will already have large commercial incubators installed. 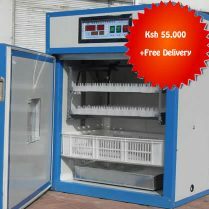 Smaller incubators are available and are suitable for the small-scale production of vaccine. 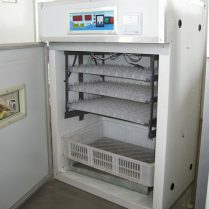 Incubation temperature = 38°C to 39°C. 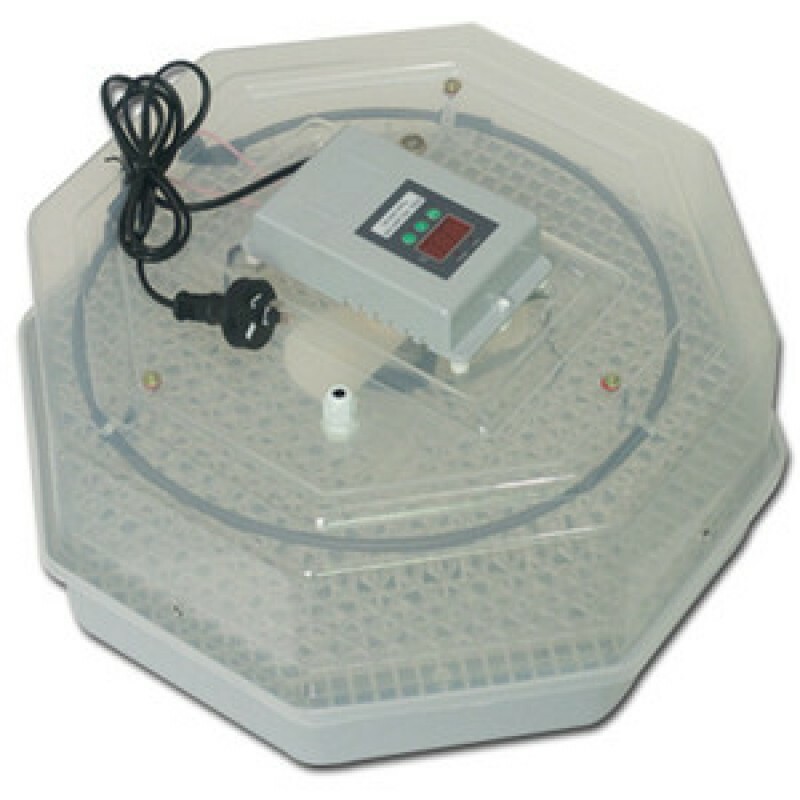 Maintain Humidity at 60 to 65 percent. 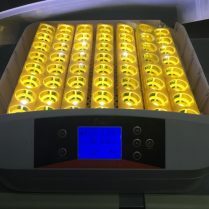 A tray filled with water and placed in the bottom of the incubator is usually sufficient to maintain this level of humidity. Place the eggs in the incubator with the air sac on top. Turn the eggs three times a day. The recommendation is to store them at 10-15°C with a relative humidity of 70-75 percent. The eggs should be turned (90 degrees) six times per day during storage. The eggs that received periodic warming were warmed for five hours on the first day of storage and five additional hours every fifth day thereafter. Thus eggs stored for ten days received ten hours of warming; those stored 17 days received 20 hours of warming and those stored 24 days received 25 hours of warming. These results clearly show that periodic warming of goose eggs during long term storage can increase the percent hatch and reduce the incubation time.